By far the best debut album of the year. 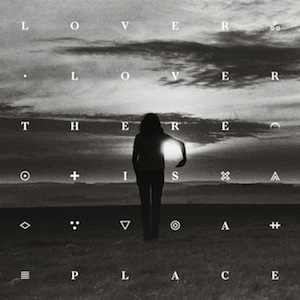 There is a Place by Lover Lover is versatile and delivers the full emotional spectrum. Be it a roaring night on the town or contemplating your rainy window pane with a glass of vino, this surprisingly well executed debut album is the perfect combo of dreamy trance pop paired with soulful lyrics. While it’s hard not to compare the album’s overall sound to Fleetwood Mac, and singer Eleanor Bodenham’s rich, sure-footed voice to Stevie Nicks’, so what? It’s been a while since a group (duo to be precise) successfully balances winding lyrical romance with a soaring progressive dance beat. Furthermore Bodenham consistently puts her own spin on every note and lyric making her an instant classic. Not bad for a girl who was baking pies as a day job before this. We can’t wait the next modern fairytale!